One of my New Year’s resolutions is healthy eating – eat more legumes and beans for extra carbohydrates! I’m a huge fan of chickpeas. Not only are they cute and yummy but also have so much goodness in them. They are totally wheat/ gluten free, high in protein, zinc, folate and fibre. They are super versatile in both cooking and baking. Healthy dip, hummus, is one of my favorite snacks on crunch veggie sticks. Socca, flattened bread made of chickpea flour, is great alternative for tortilla. They are also great for salads, casseroles and soups. Chickpea flour can be added to make muffins and cakes in gluten free baking. I made roasted chickpeas for snack this morning. 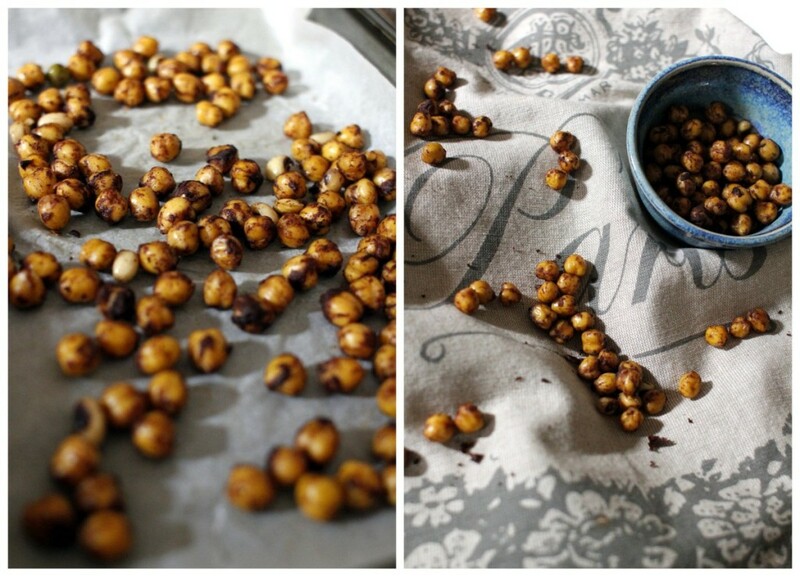 If you need a great snack on the go, it is quick and easy to make, healthy and flavoursome. I soaked half cup of chickpeas overnight, cooked them in boiling water for 15 minutes until they soften up. I massaged them with a teaspoon of coconut oil, sprinkle of cinnamon powder, cayenne powder and sea salt, then baked them in 180 degrees oven for about 20 minutes (agitate them every 5 minutes). You can be creative when adding spices depending on your taste buds, such as chilli flakes, curry powder, cumin, smoked paprika, lime juice, vinegar, soy sauce, etc. Keep them in airtight container once cooled down and eat within a few days.